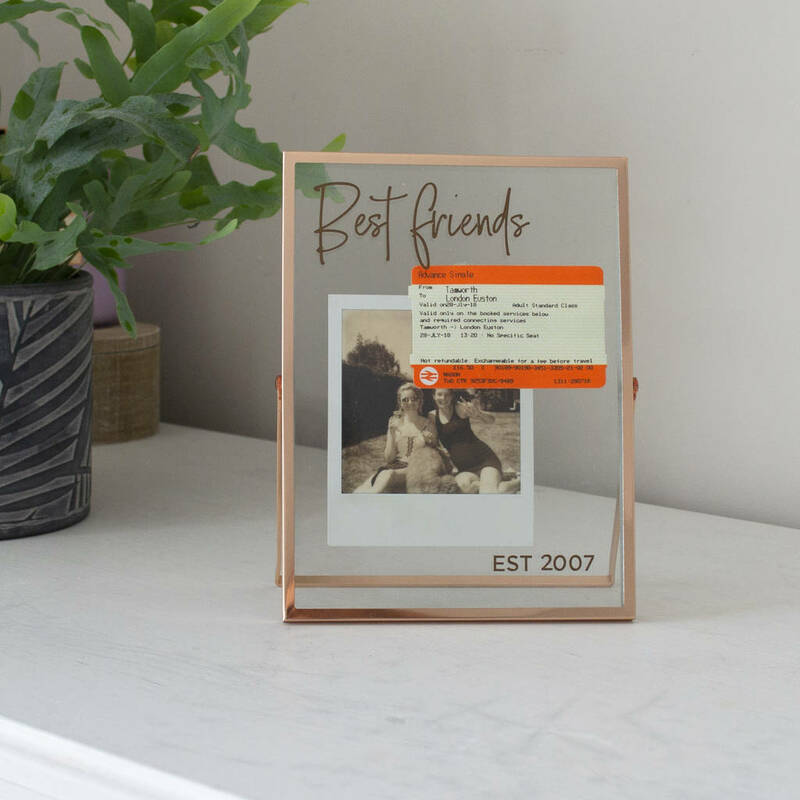 A gorgeous modern gold photo frame for a best friend! 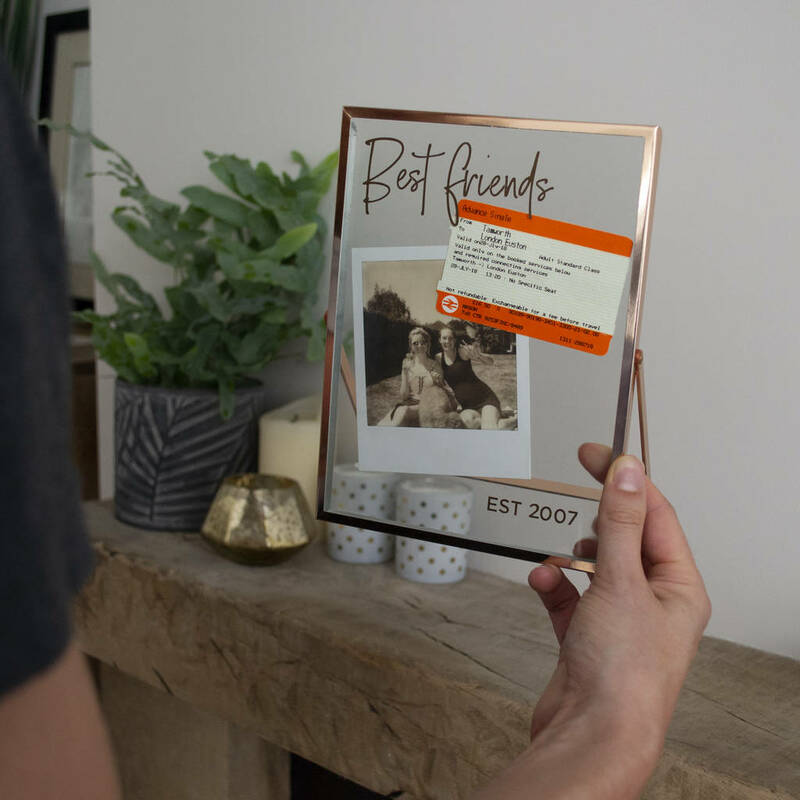 This stunning personalised photo frame is a brass gold glass photo frame designed for you to get creative and add anything of your choice, e.g. a polaroid, train ticket etc.. The frame is made from metal with a copper / rose gold coloured finish. The centre of the frame features two glass panels. A decorative way to display photographs and memories around the home. There is an option to personalise this photo frame with 'best friends' and a date or initals for a best friends Birthday, or for your sister. This can be personalised with intials or a date.